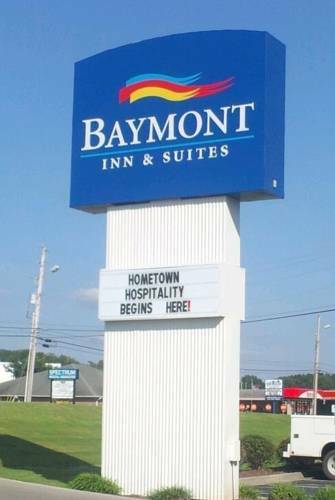 You will receive a warm southern welcome at this Baymont Inn and Suites Tullahoma, TN, hotel, just off Highway 55 and Route 41A and close to the Jack Daniels distillery, the Tims Ford State Park and the Civil War Driving Trail as well as restaurants and wineries. Pets are welcome at this lodging, which offers complimentary wireless Internet and complimentary continental breakfast with Belgian waffles. This hotel also offers a daily paper courtesy of the hotel and ample large-vehicle parking. Work out in the fitness center, splash in the outdoor pool, and in fair weather cook out on the barbecue grill. Keep up with paperwork in the business center with computer access and printing service. Select rooms feature microwave and refrigerator, ideal for longer stays, and there is no charge for kids 17 and under when accompanied by adults. The Unclaimed Baggage Center, where anything you've ever lost at the airport may end up at a bargain price. The history of tow trucks, complete with many vehicles and exhibits. A "Wall of the Fallen" honors those who died in the line of duty.